Anyone who has ever heard the phrase “comfort zone” has almost certainly heard the old adage that the magic happens on the edge of it or outside it. I propose that the magic happens as a result of enlarging your comfort zone and is mostly revealed once you have returned to the safety of your newly shaped comfort zone and are able to process what has shifted or how you have grown. So in a fit of exuberance, as well as wanting to improve my speaking skills, I recently signed up for a 6 week stand-up comedy course. I completely underestimated how terrifying and pee inducing this would be. However and utterly surprisingly (I might add), by increasing my tolerance of the unbearable, it has allowed me to be open to doing the therapeutic work that has revealed my personal false beliefs. Ones that unknowingly, I had been harmfully clinging onto for all my life. In a less mentally daunting fashion, I have started taking cold showers (the whole shower, not just a cold blast at the end…) to see if I can improve my tolerance to cold water. 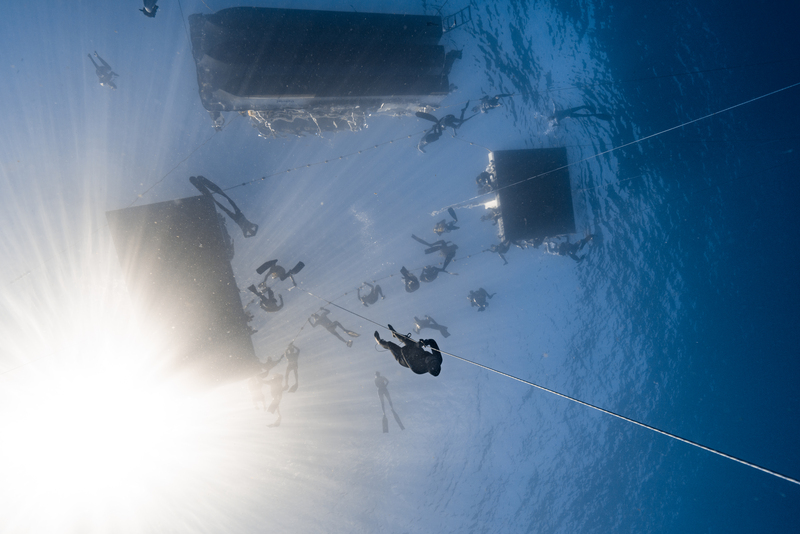 The “magic” certainly hasn’t happened yet, but hopefully in the future my relaxation while freediving will be less affected if the temperature is one or two degrees colder that I am currently used to…. The current silver linings, not related to the comfort zone, is lovely shiny hair and a dramatically reduced bill for the hot water! When I freedive, I add to my depth slowly when I am physically and mentally ready, only gently nudging my perceived limitations and so far these have always changed to show I can go further. In turn, this knowledge has help me countless times giving me courage and confidence with the addition boost of being on dry land with air to breathe as well! I don’t push myself out of my comfort zone every day (well apart from the current cold shower situation). I also remind myself to stay positive, even when there is a negative outcome which is inevitable eventually, by reminding myself of the reasons why I wanted to grow myself in the first place. I believe it is not good for us to be permanently pushing the edges of our comfort zones as it can lead to burnout. Like with the activation of either side of our nervous system, we should be striving for 90% Parasympathetic (Rest, Digest and Repair for the body) and only 10% Sympathetic (Fight or flight). I think we should be aiming to nudge our perceived limitations (to whatever your desired degree is) for around 10% of our time and the remaining 90% should be spent processing the changes and what we have learnt, so we can benefit from the experience. The challenge of actively stepping out of your comfort zone helps reshape it in a controlled fashion that prepares you better for unexpected shifts in the future and it gets easier to do over time. It also doesn’t take much to enlarge and reshape and the time spent outside doesn’t need to be long or riddled with adrenaline. Anything that isn’t in your usual routine will do it: Take a different route home from work, try a new cuisine, basically just try something different. You may end up surprising yourself by enjoying the challenge and the opportunities that open up, but you’ll certainly benefit from courage and confidence gained. Would you like to comment? Please do so below.